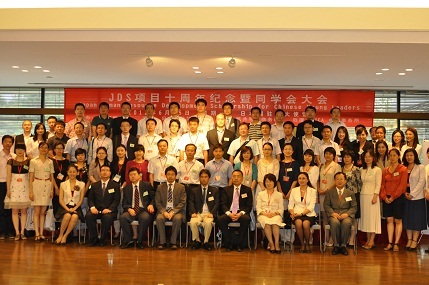 On June 25th 2012, alumni meeting was held at the Embassy of Japan and the ambassador’s residence in the People’s Republic of China (hereinafter referred to as “China”), marking the 10th anniversary of Japanese Grant Aid for Human Resource Development Scholarship (JDS) Project there. JICE has been an Agent of the JDS Project in China since 2002. Since last year, we have been working intensively on the follow-up of the reunion, which is said to be the crucial issue for the JDS Project. This alumni meeting, marking the 10th anniversary, has been acknowledged as one of the 40th anniversary Projects of the Restoration of Diplomatic Ties Between Japan and China. Mr. Yu Jian Hua, Deputy Manager of the Ministry of Commerce on behalf of the Government of China, and H.E. Mr. Uichirou Niwa, Ambassador Extraordinary and Plenipotentiary in China, have attended the gathering and made a speech congratulating this occasion. Mr. Guo Qiang, President of JDS Alumni Association in China, suggested that the association publish a brochure for this memorable reunion (in order to motivate people in the region to participate in this reunion). He also suggested that the association establish regional subcommittee meeting, and subcommittee meeting for business to make this reunion more sustainable. 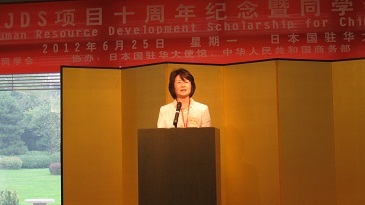 Afterwards Ms. Sachiko Yamano, Vice President of JICE, expressed gratitude for being part of this Project as the Agent on behalf of the Ministry of Commerce since 2002, when JDS Project was launched in China. She also thanked all the parties concerned such as the Ministry of Commerce, Embassy of Japan in China, JICA China Office, and educational institutions in Japan, for supporting this Project. She said that JICE would love to join and support this reunion if necessary, and that JICE would join to cooperate with others by considering the intentions of the Ministry of Commerce, Embassy of Japan in China, and JICA China Office. JICE has been a part of the JDS Project in China since it was launched, and we are stressing on the support for the reunion. We’d like to introduce one of the examples of those activities. Based on request by the Embassy of Japan in China, JICE joined H. E. Mr. Niwa on his regional business trip to arrange a social meeting with ex- JDS fellows in the region. We held this meeting at 6 different places (including places such as Shenyang City of Liaoning Province, and Guiyang City of Guizhou Province, etc.) from April 2011 through May 2012. 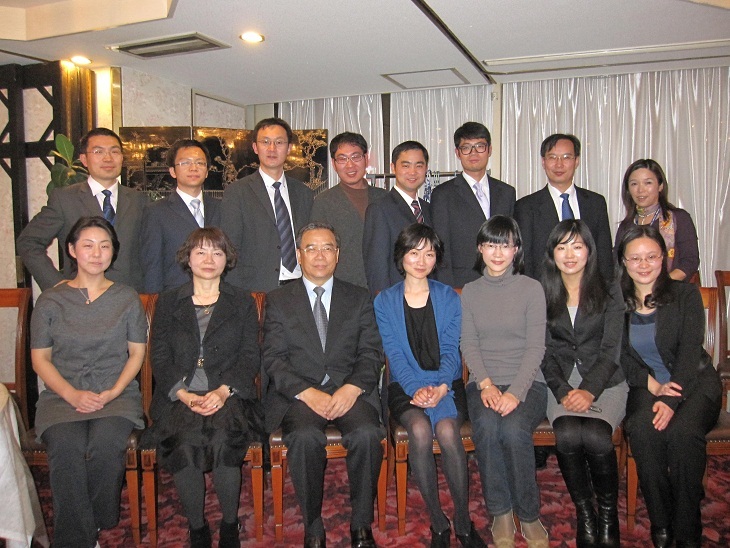 From December 2011 through May 2012, JICE held a social meeting with government related personnel from both Japan and China in Tokyo and Beijing for JDS alumni. JICE will continue to focus on this activity backing the follow-up, so that JICE can foster the development of the reunion and vitalize the exchange activities with Japan.